Though I gave myself a Williams Sonoma Catalog recipe project, I had to share this breakfast recipe that we had on Saturday (in between copycat recipe posts) using some homemade apple butter I prepared a couple of weeks ago. The little that was left had been eyeing me every time I open the fridge. Waiting for me to conjure up this apple raisin french toast recipe that has been sitting in my head. I have to tell you, without being biased here, it tasted like apple pie filling and raisin bread pudding compressed into layer upon layer on creamy, rich, spiced filling. As if that wasn’t enough, I added caramel and let it seep into every little space it could find. Love caramel on anything. I combined this tasty gf/df/sf raisin bread and white sandwich bread as I decided to add more bread while creating the recipe. A new sandwich bread for us that tastes wonderful as is, so I knew they would be fantastic in this recipe. Good products like these make for good recipes (and school sandwiches). Make some apple butter this week, and get some of this bread (coupons on their website) because you need to try this overnight french toast recipe next weekend. Perfect for hanging around in pajamas, while loading up on carbs, with a big cup of caffeine. In true, no-guilt weekend style. Add apple cider vinegar to the coconut milk, set aside to thicken. Meanwhile, add eggs, sugar, vanilla bean paste, apple butter, 1 teaspoon of cinnamon, and kosher salt into a large mixing bowl. Mix until batter is smooth, using a hand mixer on medium speed. Add coconut milk/vinegar mixture, mix well. 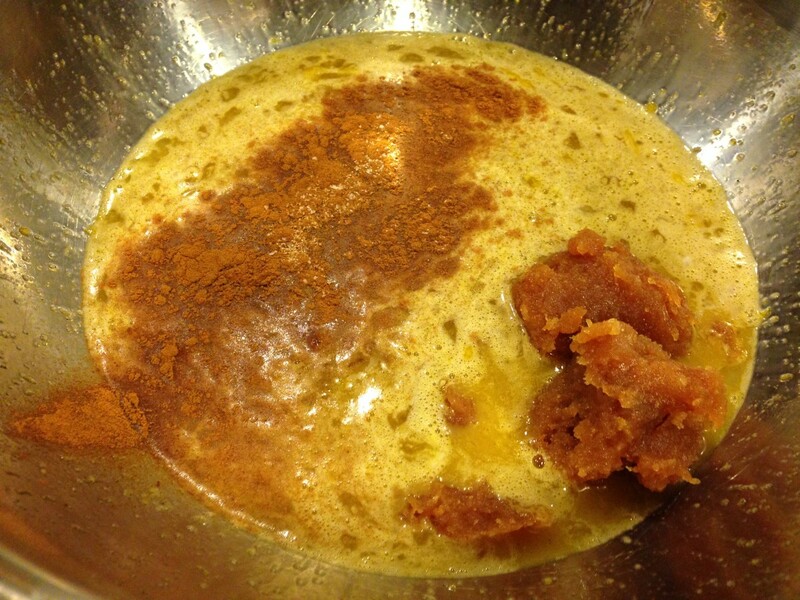 In a medium bowl combine apple, lemon juice, remaining 1 teaspoon cinnamon, and 1 teaspoon of sugar. Mix well. Set aside while dicing up the bread. Add apple and bread into the batter. Stir gently then pour into the baking dish. Push bread pieces down to fully submerge into the batter as best as you can then cover with a piece of parchment paper and then tightly wrap with aluminum foil. Refrigerate overnight. 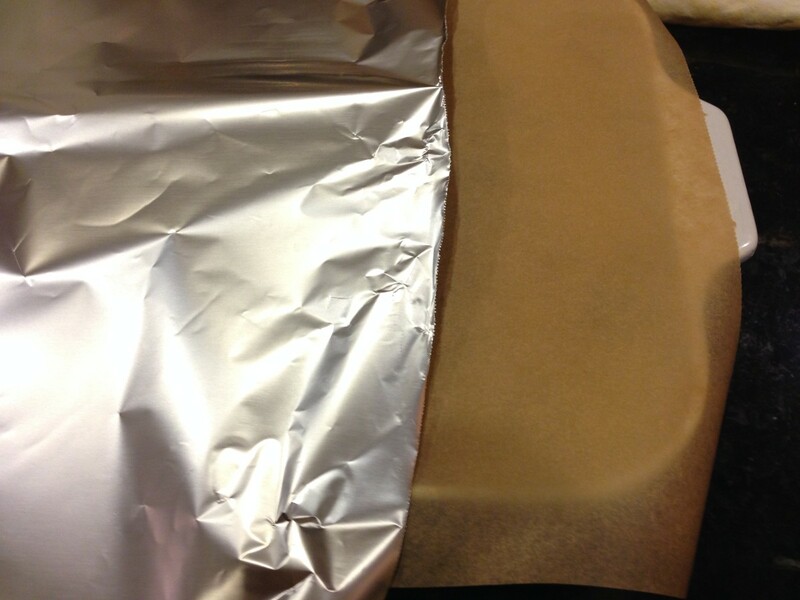 Take out of the refrigerator then preheat the oven to 375 degrees F. With the foil, bake for 30 minutes, then remove cover and bake another 25-35 minutes. It is ready when golden brown, set with just a slight wiggle and has pulled away somewhat from the edges of the baking dish. 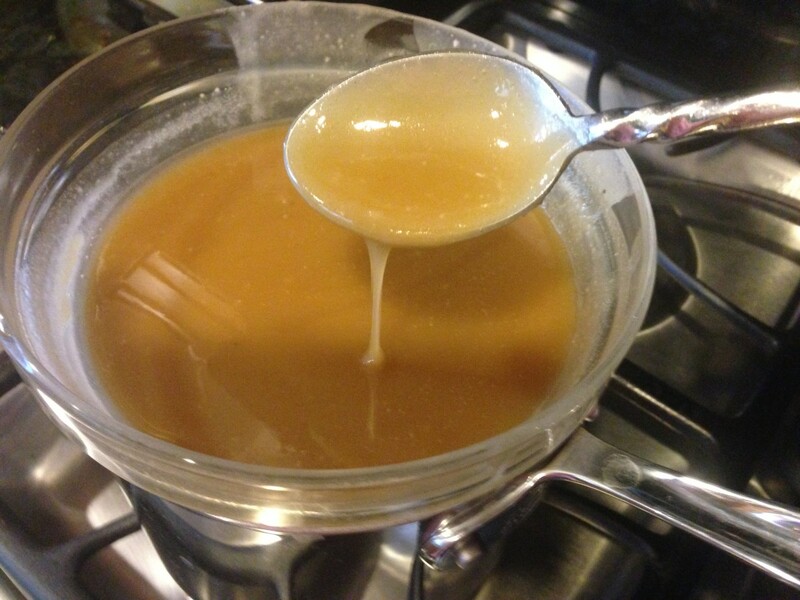 Serve hot with caramel or any topping you prefer. I set my refrigerated caramel over a saucepan with water and set it on low heat while the french toast was baking, to serve warm. 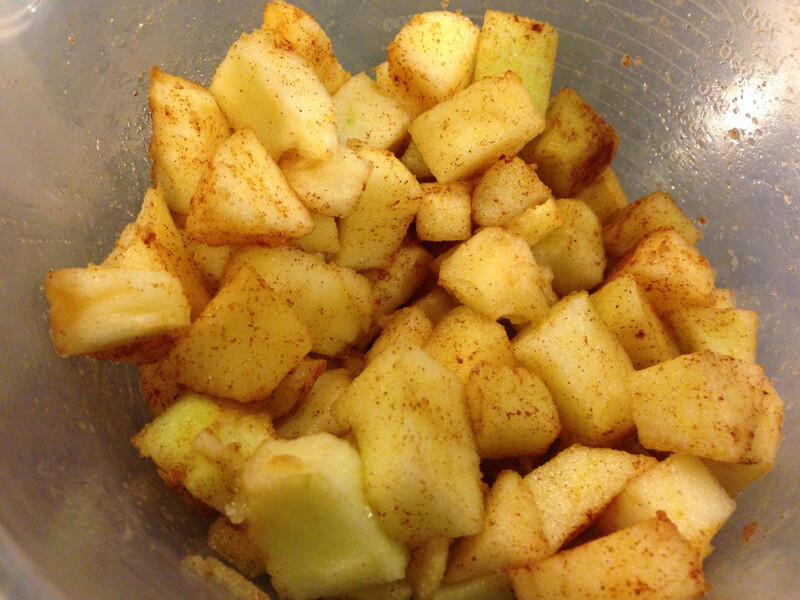 Apples and cinnamon are my all-time favorites. I need this now! My army veteran husband would love this as a Veterans Day breakfast tomorrow but I don't have apple butter, nor will I be able to make it. Can I use pumpkin butter from a jar instead? I have that. Thanks. Jessica you made a gorgeous-looking dessert here. I cannot tell you how hungry you're making me. Will try this this week! Kids are out of school today and made your french toast and it was incredible. I thought it would be good, I didn't know it would be this good! I didn't make caramel so I used maple sugar and powdered sugar. I did make apple butter yesterday for this treat. I appreciate these simple recipes!! 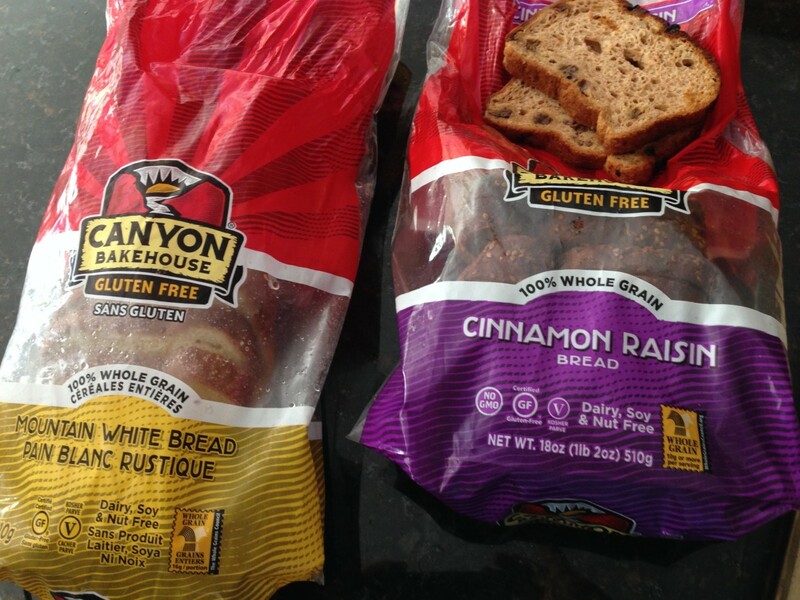 My daughter and I are both gluten free and want to try your recipe but cannot find this raisin bread anywhere. Can I use Udi's raisin and sandwich bread? We have that here in Canada. Sure, I don't see why not. Enjoy! My apple butter came out mushy and more watery than yours. Can I still use it for the baked french toast? I want to serve this for Saturday. Thanks! I just found your wonderful recipe on Pinterest and want to make it today for a surprise brunch tomorrow but am nervous to make apple butter. Is there a brand you know that does not have gluten, dairy, or soy? I live in San Diego so it shouldn't be hard to find just don't know what to look for. Please let me know. Also can I use all granny smith apples? Thanks!! Trader Joe's has an apple butter and there is also an apple butter by Eden Foods (in health food stores). You can use all granny smith, sure, add a tablespoon of sugar to counter the tartness if you like it on the sweeter side. Enjoy! I found the two breads at my grocer, made the apple butter and finally got around to baking this today. Though it was an effort making the apple butter and all I would do it again in a minute. It was outstanding. I see why you add the apple butter, it gave such an unusual flavor that didn't make it taste like a bunch of sugar. It truly tasted like apple in there. This is a keeper in our house. Next time I'm making way more apple butter as this would make nice hostess gifts. Just had to share how we enjoyed it. Thank you for your sweet comment! Happy to hear you enjoyed it, it is pretty addictive! This looks incredible!!! My family will go crazy for this. All the apple desserts you're making are wonderful! I made this today for brunch as a welcome back home for my kids, both in college, we just ate and ate. It came out delicious. I did make your apple butter to include in here and my daughter asked that I make more for her to take back to school. Too bad she can't take this french toast with her. My husband was impressed at my fancy brunch dish. Thank You Jessica for an exceptional brunch today. 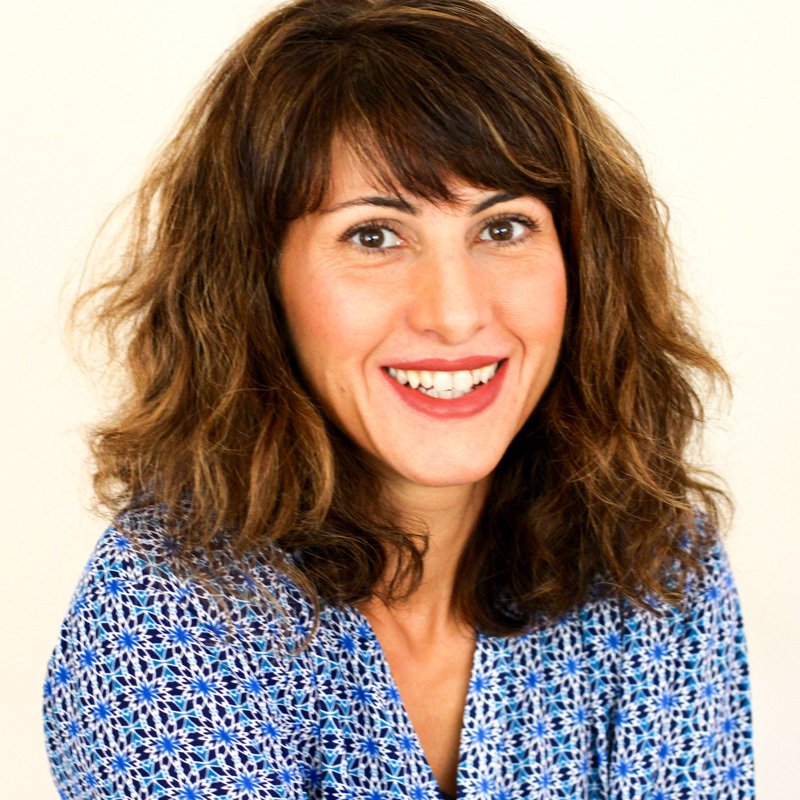 Thank you for subscribing Tiana!! Welcome! I am preparing my brunch menu for Thanksgiving weekend and think this would be perfect for 4 of my guests who are gluten free and vegetarian. I have apple butter but was looking at my apples and see I have lots of breaburn and pink lady, our favorite varieties. Can I pass on grannysmith or will it affect the taste and texture? 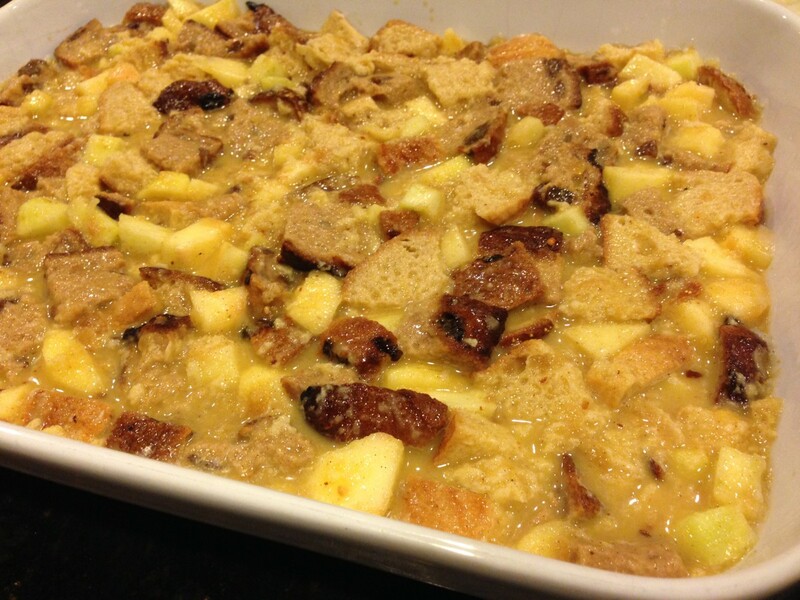 Yes, you can leave out granny smith if you reduce the sugar by 2 tablespoons otherwise it will be too sweet, or leave it in if you like a more sweeter french toast. The only apple that I would not use is Macintosh, it gets too mushy, more of an applesauce consistency. Enjoy! wow Jessica will subscribe to youre web site now it is soy free too? Sorry your comment slipped through the cracks Jérôme. Thank you for subscribing! Yes 99% of my recipes are soy free - an occasional one here or there may have soy lecithin, but never anything with soy protein (the protein or sugars in food are what we usually are allergic/intolerant to). Oh wow, this looks perfect for Christmas morning. Finally got to making this today after making apple butter (delish! 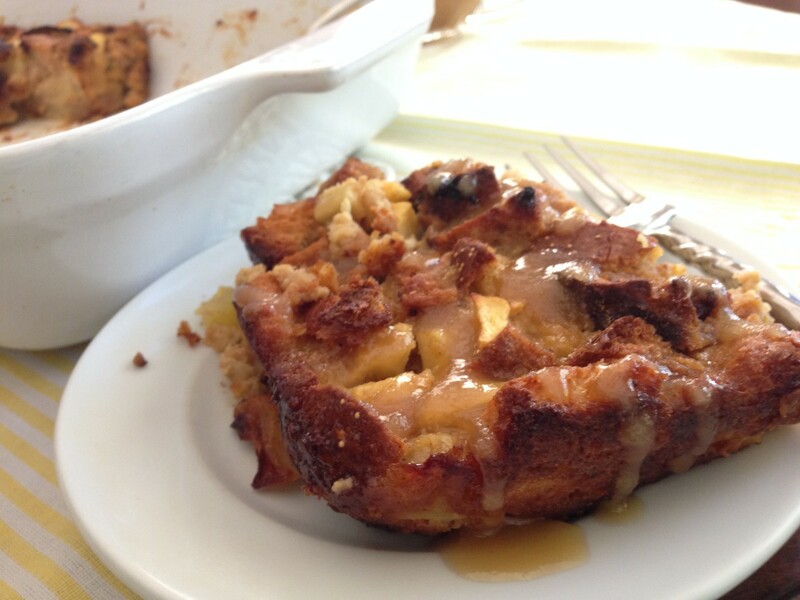 ), I used empire and jonahold, the baked french toast tasted like an apple pie and bread pudding had a baby. This was outstanding! Thank you Vanessa for your sweet comment. I am so glad you and your roommate enjoyed it! You know I actually rarely crave apples or bread pudding or anything like that, I just like ice cream as sweets but this one looks so appetizing for some reason haha. Not sure if I'm going to make it but I just may go grab some apples tonight and see how I feel. This looks so so amazing! it's strange.. 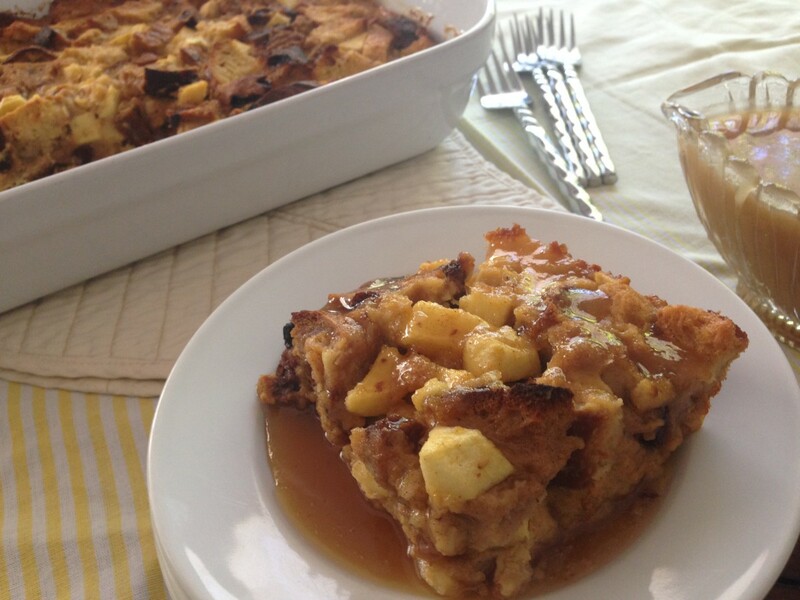 I prepared this Friday and baked it today for a hot comfort food brunch and I have to tell you it tasted so custardy with sweet apple flavor (i made your apple butter last week) that my brother and sister-in-law who eat gluten and dairy couldn't believe it's GF and DF. Great recipe!! Aw, thank you for the kind words. I'm blushing. I am so happy that you all loved it! Sorry to hear the apple butter didn't come out the first go around but you stuck through - I love that! I prepared this last night and baked it this morning for for some out-of-town guests we are having and everybody loved it! It was moist and flavorful! I made your suggested apple butter recipe for this (and for sandwiches) and I see what you mean, it's a key ingredient. Thanks for sharing!! 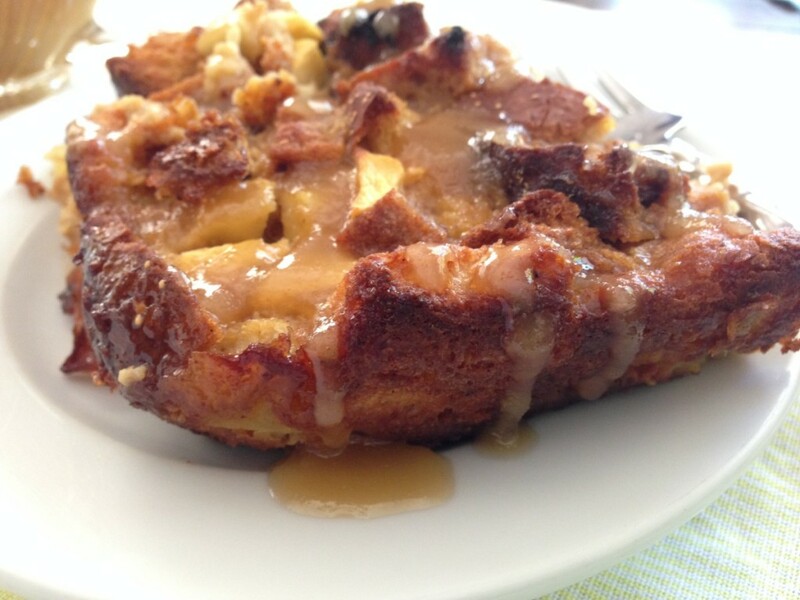 We had leftover french toast this morning and it is just as delicious as yesterday. I made your applebutter for this recipe and also because it's one of my favorite things to spread on bread since childhood. I also used all raisin bread instead of just one loaf because we are now hooked on this raisin bread, my family and me love it more than Udi's bread.